Adventure anime, as you probably can imagine, are those shows where characters need to set off because of some circumstances. Usually, adventure anime feature characters who are looking for something, or characters who are chased after and need to get away. In some cases, though, the adventure a character needs to face is a journey of self-discovery. Whatever the reason, and whatever the circumstances, though, the characters change, and improve, and they are never the same from when they began their journey. The label “adventure” is vast, and it may come with a lot of sub-genres: basically, adventure shows can be very different from each other, and yet contain adventures all the same. In this ranking, we'll talk about 10 adventure anime which were conceived to entertain girls. We're not saying that boys can't equally enjoy the adventure shows we'll mention; we simply mean that the anime down below are perfect adventure shows for a female audience! 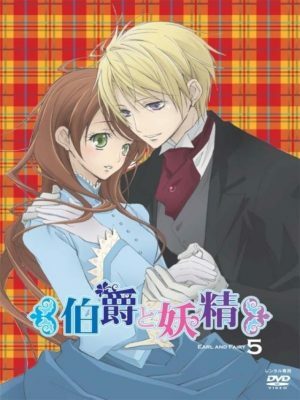 Hakushaku to Yousei takes place in the nineteenth century, and revolves around Lydia Carlton. She has the ability only granted to few human beings to communicate with fairies, so she works as a fairy doctor. Edgar J. C. Ashenbert claims to be the Earl of the Blue Knights, and really needs someone with a vast knowledge of fairy folklore, just like Lydia. Even though no one seems to believe her, Edgar hires Lydia after rescuing her. Their adventure then begins! In order to assert himself as the Earl of the Blue Knights, Edgar embarks on a journey to find the so-called Sword of Merrow. Needing Lydia's knowledge about fairies, he will drag her with him, but during this adventure, they will learn a lot about themselves, and about the world surrounding them. Not only that, Edgar will fall in love with Lydia, and will do his best to catch her attention. Romantic girls out there, you should join this couple's adventure, to witness a wonderful romance! Sakura is the Princess of the Clow Kingdom, while Syaoran is her friend and an archaeologist. While excavating at some mysterious ruins, Syaoran finds a strange symbol. At that moment, Sakura has a vision of that same symbol. Ghostly wings appear on her and as they disperse, so does her memory. There's only one thing left to do for Syaoran: to travel across different dimensions in order to find each feather belonging to Sakura. But he won't be alone: the party will be made up of the strangest individuals, each of them with a goal of their own! Tsubasa Chronicle features various characters who set off in order to find Sakura's memories. That's the main idea, actually the other two characters of the party have their own wishes to realize. Episode by episode, we witness the characters' growth, and how their relationships develop. 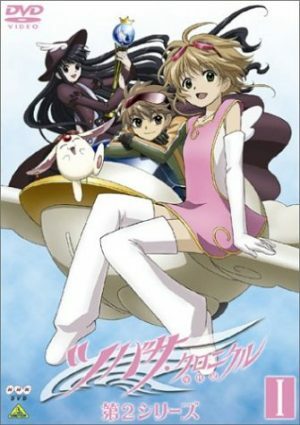 This is an adventure anime that girls will find absolutely intriguing, what with Sakura who previously had feelings toward Syaoran, and then lost memories of him, or the hotties appearing here and there. Pick it up, as it won't fail you! King Andragoras III is the ruler of the Kingdom of Pars, which is at war with the empire of Lusitania. Arslan, the young prince of Pars, is about to step on the battlefield for the first time. King Adragoras III, though, is betrayed by one of his most trusted officials, and this leads to the decimation of the Parsian army, and the siege of the capital Ecbatana. Arslan, chased after by the Lusitanians, is forced to run away. Together with Daryun – a general – Arslan begins his long, and hard journey: he will have to find allies, and reclaim his home! Arslan Senki is the heroic legend featuring a young prince, always misinterpreted by those around him as being weak, naive, inexperienced. During his journey, surrounded by a little group of trusted people, he will prove his worth, showing a determination, and a leadership no one could ever imagine by just looking at him. 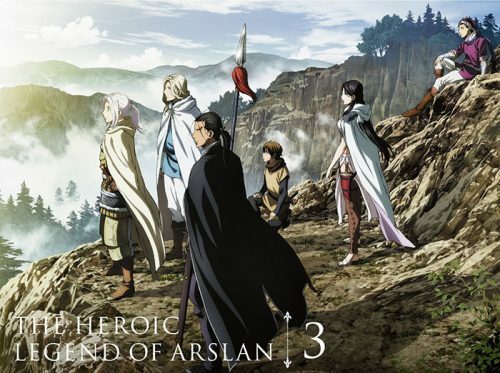 Arslan Senki is a touching story about courage, friendship, and the importance of bonds. 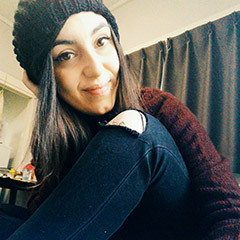 If we didn't give you enough reasons to pick it up, we can add that this show is full of hotties very compassionate towards each other, so it's a feast for the eyes. Once there was a world where humans and demons lived in harmony with each other. Some circumstances, lead the demons to attack humans, planning to unleash Gyumao, an evil demon imprisoned years prior. In order to avoid the worst-case scenario, and stop the demon's resurrection, a priest – Genjou Sanzou – teams up with three demons: their journey full of unthinkable hardships begins! 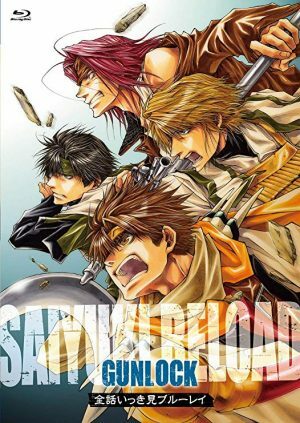 Saiyuki is a josei, adventure show, therefore the attitude that the male characters have with one another is very compassionate, that we would define it as bromance. 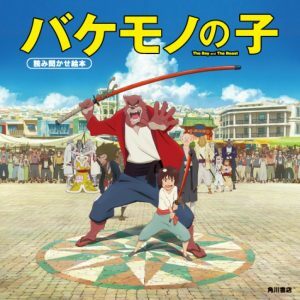 Genjou, the priest, sets off on a journey together with three demons with whom he must get along, in order to stop the threat, and save the world. 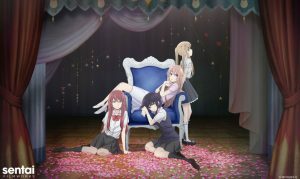 Their journey will be full of hardships, and don't worry, Gensoumaden Sayuuki is just the first season: there are other three seasons following. 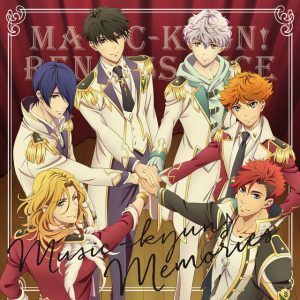 This is the perfect show if you are looking for an adventure anime full of bromance, good vibes, and hotties! Kagome Higurashi is a 15-year-old girl leading a normal life, until something happens and her life is completely shaken. In fact, a demon drags her into a cursed well, and she ends up in the past, during the Sengoku Era. It turns out that Kagome is the holder of the Shikon Jewel, able to grant every wish. 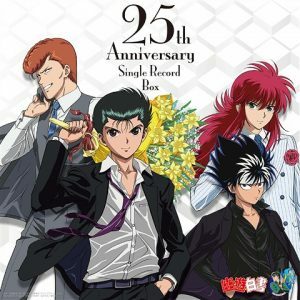 Due to some circumstances, the jewel shatters, and Kagome decides to join Inuyasha – a dog-demon human – and help him find the shards of the jewel. Together with them are a fox-demon, a monk, and a demon slayer: their journey across the feudal Japan begins! 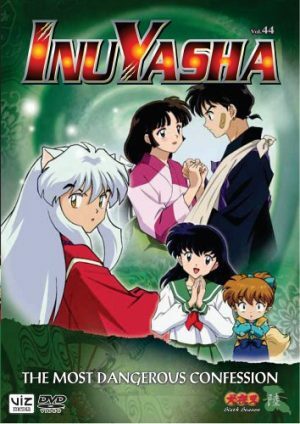 We think there's no one out there who doesn't know InuYasha, which is almost like a milestone of the shoujo genre. 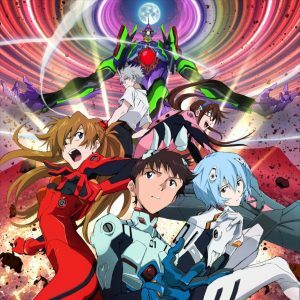 This is a wonderful adventure show, involving romance, adversities, and featuring important themes such as loneliness, friendship, and the like. During her journey in the past, Kagome will learn a lot about herself, and about life. Alongside her comrades, she will face a lot of hardships, and will grow stronger. The driving point of the series, though, is the romantic relationship developing between Kagome and Inuyasha. Banana Fish is an adventure anime labeled as shoujo, which probably would find a better place in the shounen-ai genre, as Ash and Eiji's relationship is explicitly way deeper than friendship. 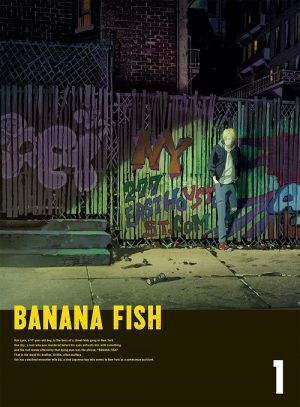 This is Ash's adventure as he travels with Eiji across the country, trying to solve the mystery behind “Banana Fish”; not only that, it's Ash's chance to finally get his freedom. 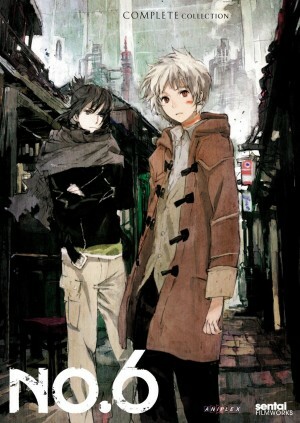 With its fast-paced and captivating plot, hot characters, and BL hints, it's a must-see for the adventure show lovers! 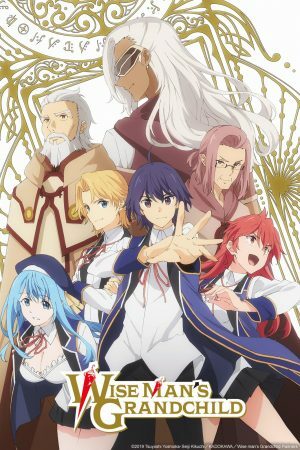 Luna Nova Magical Academy is a prestigious school for young girls who want to become witches. Inspired since she was very little by a witch named Shiny Chariot, and despite her non-magical background, Akko Kagari decides to enroll in Luna Nova. After the initial difficulties, she discovers a magic relic left behind by Chariot, and that's when her situation finally changes. 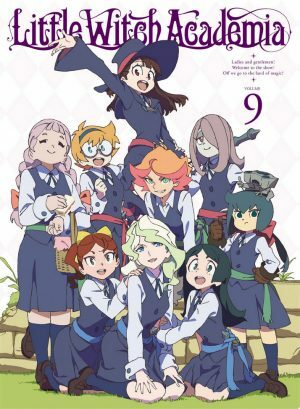 Together with her friends Lotte and Sucy, Akko will live magical adventures and discovers what it means to be a witch! 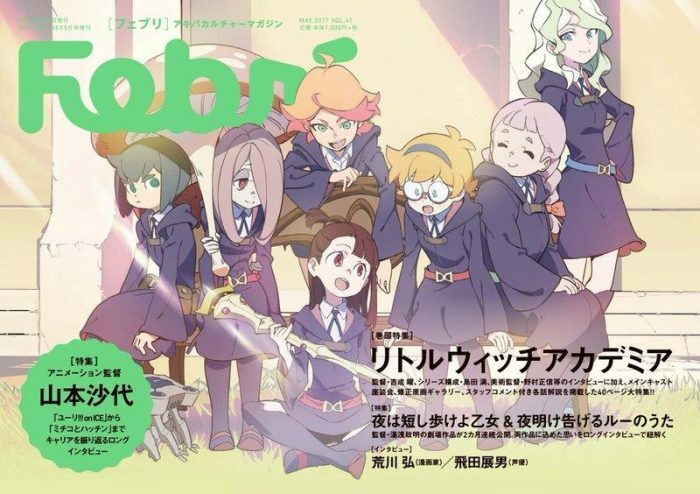 Even though the heroines in Little Witch Academia don't travel across the country, they still manage to live interesting adventures as little witches. In fact, their journey is one of self-discovery: the journey each girl embarks when she is almost an adult, but not quite. In order to keep up with the other more gifted witches of the academy, Akko will rely on her determination; by doing so, she will compensate for her ineptitude in magic. If you want to live funny adventures, join Akko, and her witch friends! 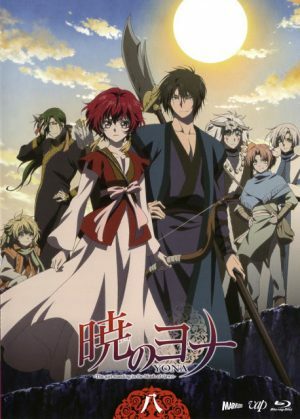 The red-headed princess of Kouka, Yona, lives a comfortable life, surrounded by people who adore her, and spoil her all the time. Son Hak, her childhood friend, constantly watches over her, and has loved her since they were little kids. Yona, though, has a crush toward Soo-won, her cousin. In her perfect picture, Yona is completely unaware of what the real world is. A terrible event opens her eyes for good: an unsuspecting person kills her father, and she has to run away, accompanied by Son Hak. Akatsuki no Yona is the wonderful story of a princess who loses everything, and for the first time realizes what the real world is. 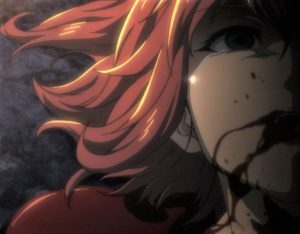 Starting with the tragedy striking at the beginning, we witness her growth: initially weak, and scared, Yona gradually turns into a strong lady living for the people of her country. While on the run, she gradually develops deeper feelings toward Son Hak, who will never leave her side. 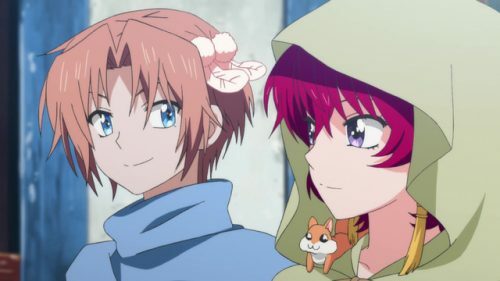 Join Yona and her comrades in their adventure, you won't be disappointed! Aladdin is a young magician who, after spending life in isolation, wants to explore the world. 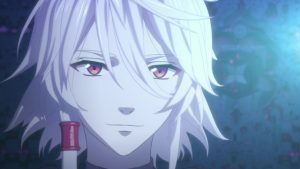 Together with his mentor Ugo, who is a djinn – a supernatural being – that Aladdin can summon with his flute, he begins his journey leaving his home behind. One day, he comes to know Alibaba Saluja, and the two immediately become friends. 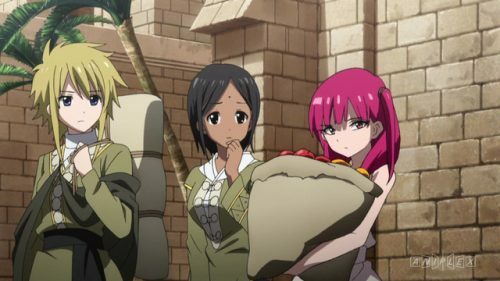 After Alibaba causes the destruction of a merchant's cart, though, they have to pay for the damages: Alibaba suggests that they try to conquer one of the nearest dungeons. And that's how an adventure involving the fate of the world begins! 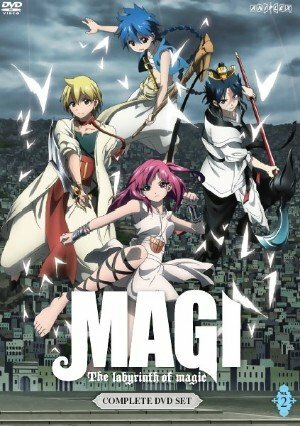 Magi: The Labyrinth of Magic is a shounen show, which we feel to suggest to every girl out there. Firstly, it is full of amazing adventures, important themes, and very good vibes; secondly, it is full of hotties that are a real feast for the eyes, such as Sinbad, just to mention one. As a shounen, adventure anime, you can expect a great importance attached to values like friendship; on the other side, you can expect a lot of comedy parts, as well. What's more, there's a big range of amazing characters. If you feel like embarking a lighthearted journey from a dungeon, to the other, join Aladdin and the others! Lawrence Kraft is a young merchant, wandering here and there with his carthorse, hoping to make money. 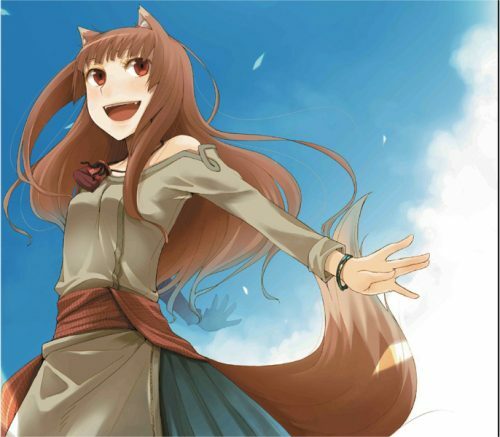 One day, he has a fated meeting with Holo, a beautiful girl with wolf ears, and a tail. It turns out that she is a wolf harvest deity, who wants to go back to the lands of Yoitsu. Since Lawrence travels across the countryside, she decides to join him: in exchange for a ride to Yoitsu, she will use her abilities to help him with his job as a merchant! Ookami to Koushinryou is the epitome of the adventure show for girls! In a medieval setting, we follow Lawrence and Holo while they travel from a village to the other, helping each other. 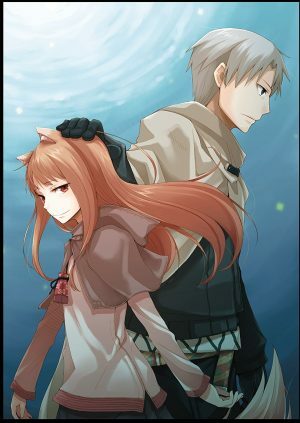 As the story progresses, their relationship deepens, and love blossoms between Holo and Lawrence, who have to deal with their different natures. 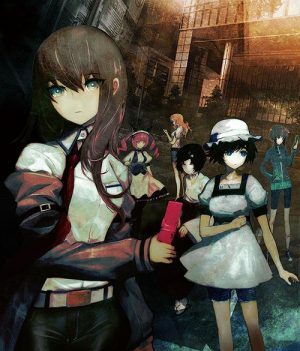 Ookami to Koushinryou is a rare gem of the genre, as its imaginary world is very well conceived, and structured. A must-see, as it's a journey full of funny characters, strange events, romance, and supernatural elements, too. It more than deserved our first position! The wonderful Ookami to Koushinryou puts an end to our ranking of 10 Adventure Anime For Girls. How did you like it? We tried to pick different kinds of shows, in order to suit everyone's tastes! So whether you fancy shounen-ai, shoujo, or josei anime, these ten share the fundamental adventure trait that you girls out there are looking for. Please, don't forget to let us know what you think in the comments below, and see you next time!